Well, Dorie Clark has the answer in Reinventing You. This step-by-step guide is designed to help you evaluate what you are good (and not so good) at, grow your personal brand, and reinvent yourself professionally. To do so, conduct focus groups and 360 degree interviews with trusted friends and colleagues, study your performance reviews, seek genuine and honest feedback, and Google yourself. After you have done this, look out for clear and discerning patterns. Be careful though not to give too much credit to outlying opinions. Ignorance isn’t bliss in any professional reinvention. Keep a low profile first, and take a break if you need to. Thereafter, study your prospective job or industry by researching online and offline. Both blogs and books are great for this purpose. After ascertaining where you want to go, find ways to explore your new occupation through apprenticeship, volunteering or job shadowing. This may involve putting together a list of dream companies or individuals to work for, determining what value you can provide and reaching out proactively. You should also be sure what your potential mentors can teach you. If need be, develop your own curricula. Be specific about what you desire to learn from him or her. Remember to repay your mentor not only with gratitude but useful leads and future collaborative possibilities. Personally, I found that Reinventing You connected deeply with me in many ways. Reading it at a time when I was going through my own reinvention, I found the advice given pragmatic and grounded in reality. Admittedly, some of the necessary steps prescribed are painful to take. I cringed at the thought of raking up my past mistakes, or acknowledging where I screwed up. Despite this, I found the book highly useful in laying a positive foundation for my new career as a content marketing consultant, lecturer and marketer. 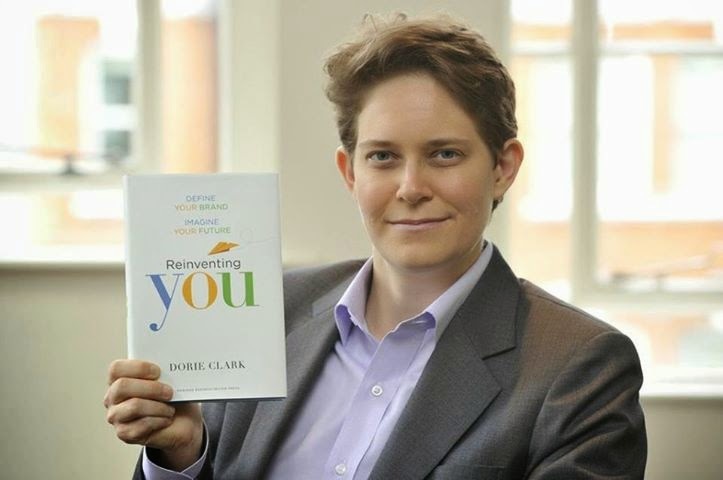 For more information, do check out Dorie Clark’s website on the book. You can also gain access to lots of useful free resources at her blog.